It’s Amazing What Kids Can Whipped Up If You Let Them Get Creative! ‘If you give a man a fish you feed him for a day. If you teach a man to fish you feed him for a lifetime’ quoted by Lao Tzu. A brilliant saying that fits the bill where we should teach our young ones and trust them to do what some of us do each day! 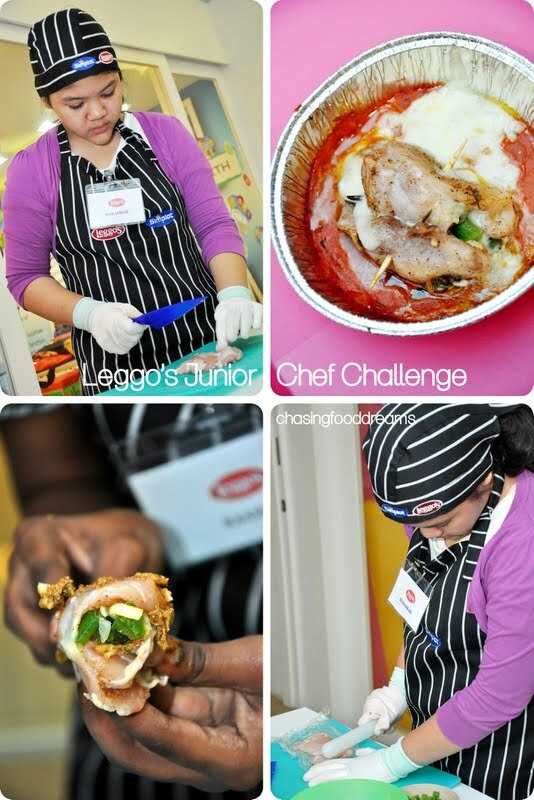 Leggo’s, the number one brand for authentic pasta sauces in Australia under the mother company Simplot, organized a fun-packed cooking competition called “Leggo’s Junior Chef Challenge” for kids aged ten to fifteen today. 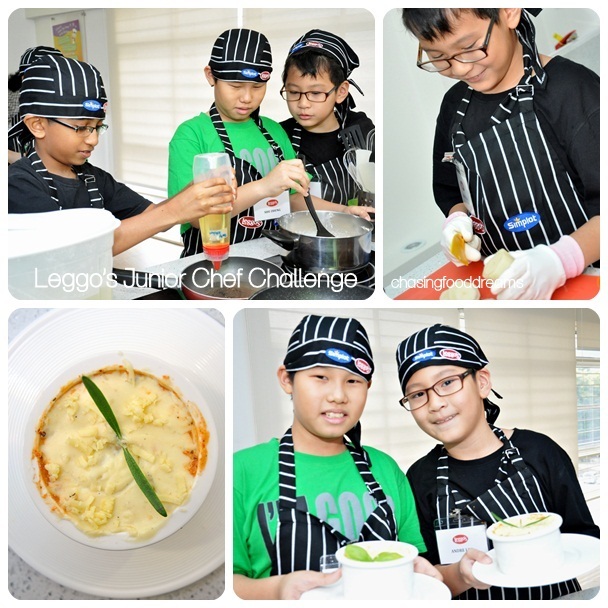 Themed “Pasta Bake,” the young participants whipped up scrumptious dishes using only Leggo’s range of pasta bake sauces namely Ricotta & Spinach and Creamy Tomato & Mozzarella at Young Chefs® Academy (YCA) at Desa Sri Hartamas. 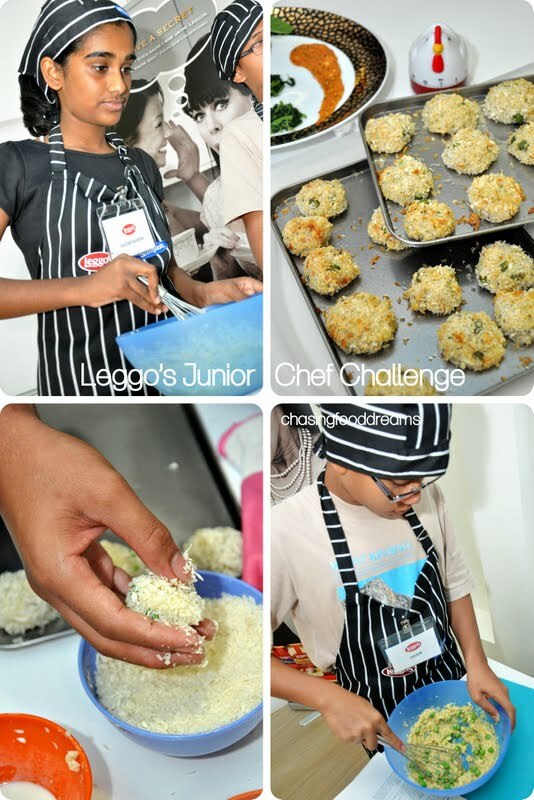 The cooking competition lasted for 1 hour 30 minutes consisting of sixteen talented kids from YCA as well as several enrolments from the children of the members of the media. There were two participants stationed at each cooking station. Possessing the skills just like their adult counterparts, one of them was seen preparing the ingredients whereas the other was in charge of cooking. One for the camera before the cooking competition starts! 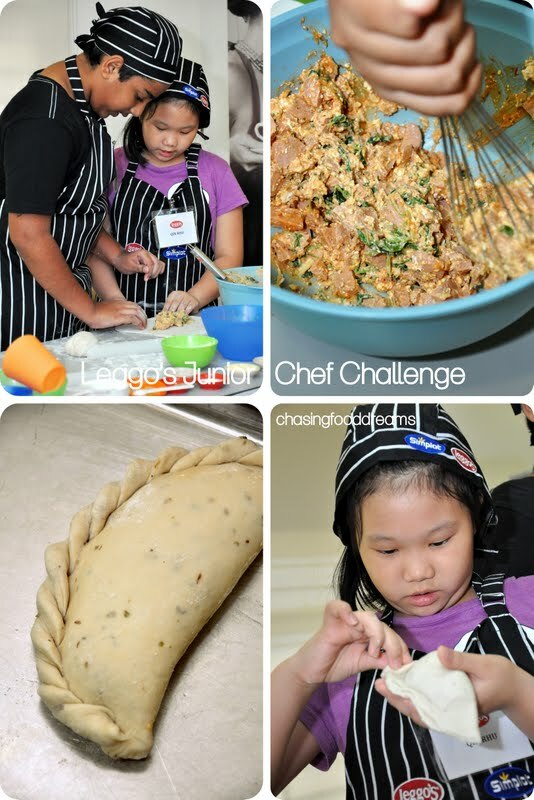 It was certainly fun to watch the kids cook and the skills they honed in the kitchen were really impressive, especially since some of them were so young! As they literally cut, chop, mix, knead, fry, boil and cook up a storm, the place was filled with delicious aroma livening up the room. After some chats with them, it seemed that they have been planning for a while for the competition with much discussion, testing and research for this day. Check out their creations! There is just no limit to one can do with a bottle of Leggo’s sauce! The outcome was certainly a delight to watch as there were many interesting dishes presented on the judging table. The panel of judges – Chef Sarah (also known as Chef RaRa) from YCA, Saw Kok Kheng from Simplot and Sidney Kan, the President of Culinary Association Malaysia evaluated each and every of dish based on five criterias – Taste, Cleanliness, Teamwork, Presentation and Creativity. The guests and members of the media also contributed 20% to the final score through their votes. After tasting and scoring was completed, the judges announced the winners. According to the judges, it was no easy feat as most of the dishes were executed beautifully. 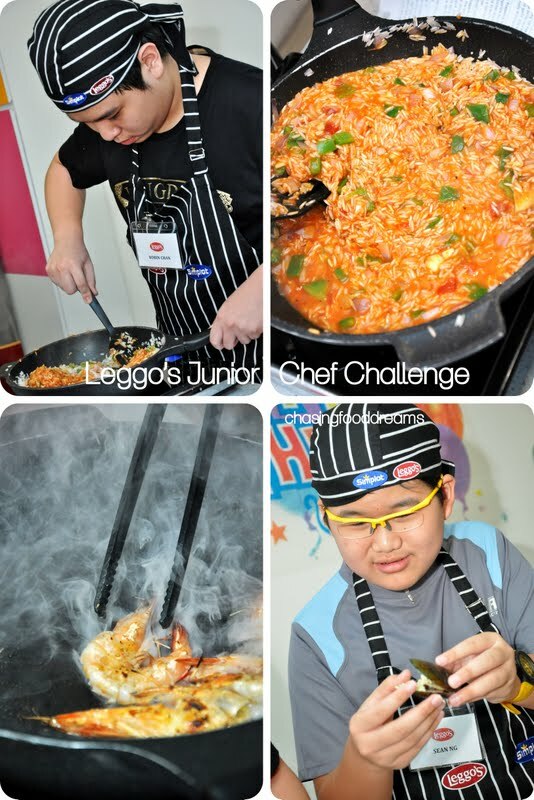 Robin Chan and Sean Ng from Team 1 was second runner-up with their dish of Spanish Rice with Seafood. 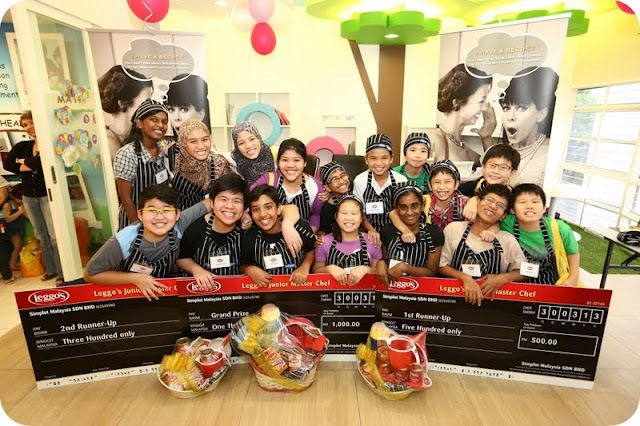 The team bagged RM300 cash prize and as well as hamper products worth RM100. The first runner-up, Sathyashini Suresh and Adam Mohamad Helmy from Team 3, received RM500 cash prize and RM200 worth of hamper products with their dish of Arancini di Riso. Grinning from eye to eye, Avinash Austin and Chow Qin Rhu from the winning team said, “We are so happy to win this! 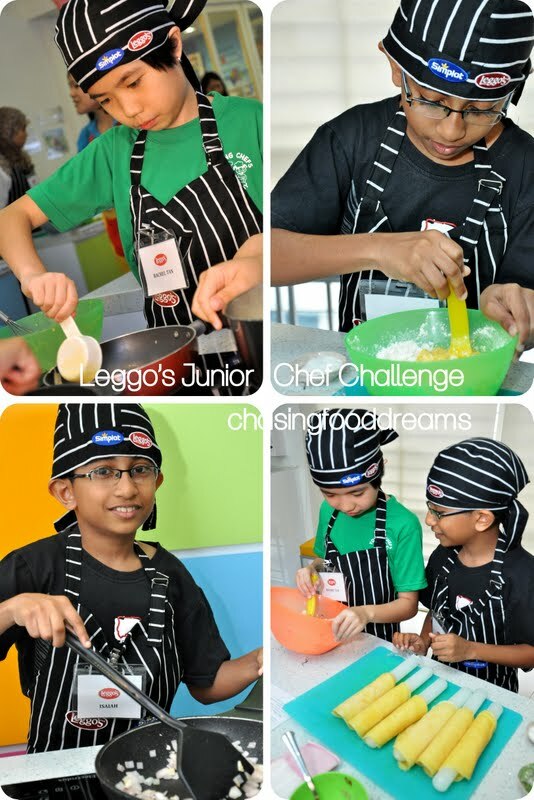 We have been practicing for more than a week and are extremely elated to be announced as the winners!” Both Avinash and Qin Rhu’s winning dish of Mini Pizza Pockets took home cash prize of RM1,000 and also RM300 worth of hamper comprising Leggo’s products and culinary sets. 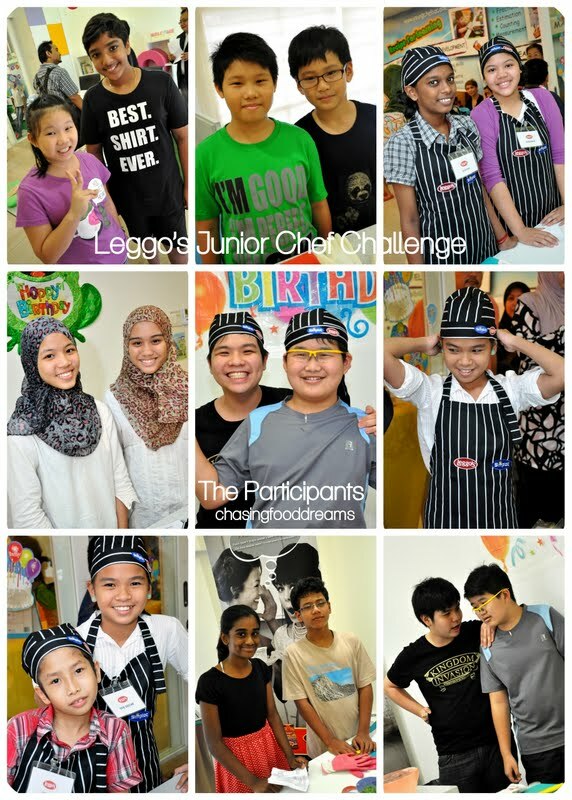 Other participants did not go home empty-handed after all the hard work as they were also given Leggo’s products worth RM120. 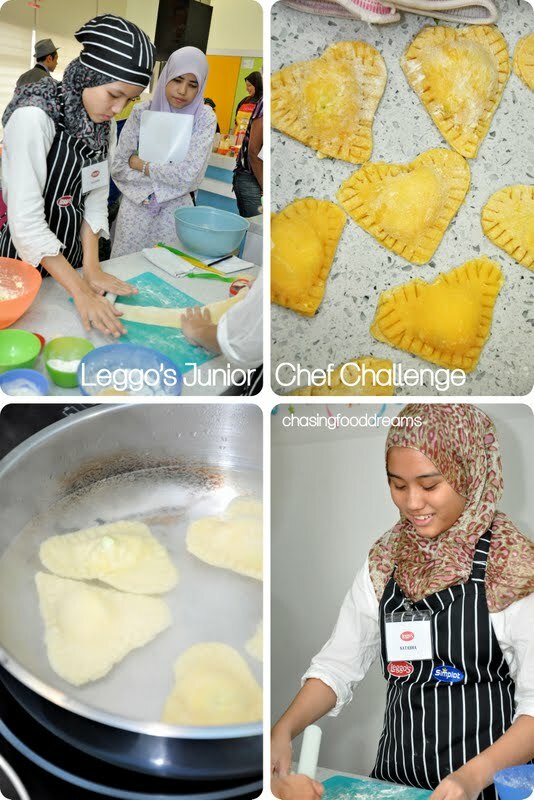 Opened since 2011 in Malaysia, Young Chefs® Academy (YCA) is a unique culinary experience which offers cooking classes to children aged 3 to 17 in a safe environment that encourages discovery and creativity. Each visit to Young Chefs® Academy is a new experience with fresh monthly themes and exciting new programs. In addition, each class and event incorporates supplemental subject matter which ties into each theme. 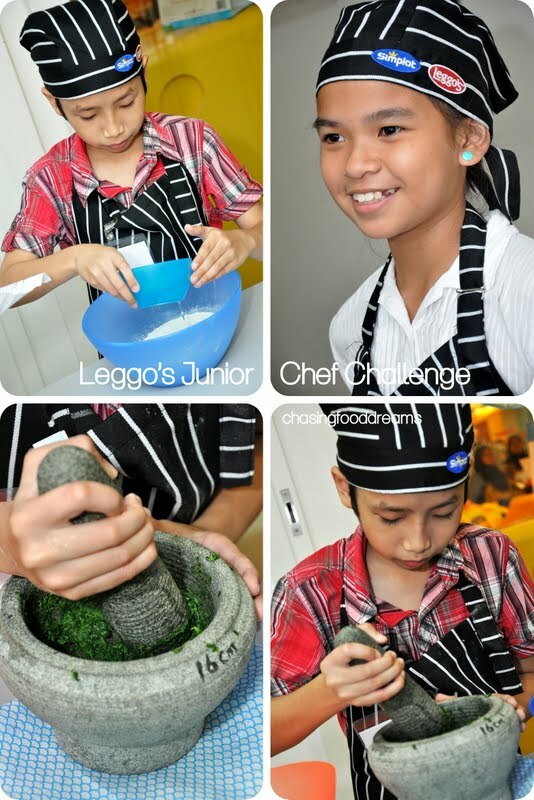 Their staffs consist of highly qualified teachers, chefs and nutritional experts to carry out their mission by providing an interactive learning experience that gives children the opportunity to develop a life-long love for the culinary arts. Thanks to Simplot Malaysia and Young Chefs® Academy (YCA) for cultivating young talents. An unforgetable event, the smiles on both kids and parents were priceless that day! It's always heart warming to see the little ones so eager to learn the art of cooking. Some of them even put the adults to shame. What a fun way to get kids into the kitchen. Well said... and its also great way to spend time with kids! yeah.. its really good to have them learn from young since our generation today, most of the adults dont know how to really cook anymore as they rather just eat out. Besides a round of applause to them, you deserve some too!! I wish I can be part of the event witnessing the talented young chefs coming up with their amazing and delicious cuisines.